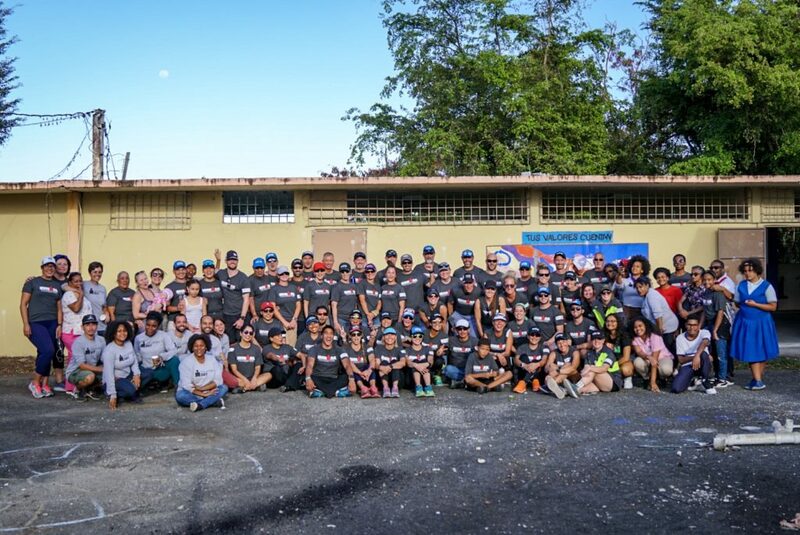 For the second year, the IRONMAN Foundation partnered with the Buena Vibra Foundation to host a hands-on service project to support continued Hurricane Maria rebuilding efforts. On Monday, March 18, teams of volunteers worked to restore a community center in Barrios Saint Just y San Antón. Volunteers assisted in clearing debris and painting multiple structures/rooms including a community center and gazebo. The day concluded with live music and a farm-to-table dinner on the community center grounds. The race takes place in San Juan, the capital of Puerto Rico. While the Island still works to recover from Hurricane Maria, the beautiful race course is completely ready for race day and San Juan is open for business. Your visit goes a long way for the economic recovery of the Island.